The Midwest Body Division kicks off the season with a classic WWII battle of East vs West. It’s Bath and Body Works Japanese Cherry Blossom Lotion vs Olay Quench Plus. Both sides have modernized their weapons to compete on the Lotion Challenge battle field. This skin based clash should present the elite of the body lotion genre. Bath and Body Works is the proud owner of the Japanese Cherry Blossom Body Lotion. Do You Want the WINNER of this Challenge? Bath and Body Works Japanese Cherry Blossom Lotion brings inspiration from the Far East in the form of this wonderful lotion. 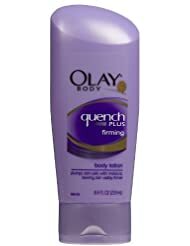 Olay Quench Plus Firming Body Lotion brings Western hydration intensity. Far Eastern talent can be difficult to defend. Looking down this list of players, Olay should have their hands full in this match up. While some of these talents look formidable, this list seems to include players that might not make the cut on other teams. We’ll have to see if some of these players end up playing better than their pedigree. Bath and Body Works Japanese Cherry Blossom Lotion kicks off and drives Olay deep into the end zone where Olay takes a knee. Olay Quench Plus begins the game from the 20 yard line. The Olay Quench coach throws JCherry Blossom a curve ball by opening the game with the wily player Niacinamide. Niacinamide is known in other parts of the world as nicotinic amide. The amide talents of Niacinamide provide a protein base that excels in structural efficiency. Nicotinamide is a secret member of the vitamin B group and brings water soluble talents to the table. On the first play, Niacinamide uses it’s blockers perfectly to duck first inside and then back outside for a 15 yard gainer. Niacinamide then sets up a screen pass by rolling out to the right and then passing back to the left. Using the open field and some huge blocks, the play goes for 31 yards. Niacinamide then tries three runs up the middle for gains of 3, 3, and 3 yards. This set up a 4th down play which leaves the Olay Quench Plus coach with it’s first big decision of the game. After asking for a measurement and seeing that the ball is only inches short, he sends in the play to go for it on 4th down. The coach brings in five WRs in a spread offense and goes with a quick count. The play is a QB sneak and Niacinamide drives being amide synthesis to the right on a QB dive. The referees have to call for a measurement and after stretching the chains, Olay is presented with a 1st down and the drive continues. On the next play, Niacinamide sweeps to the right for 7 yards to enter the B&BW Japanese Cherry Blossom cherry red zone. On 2nd down, Niacinamide calls a Vitamin B3 slant. B3 fakes outside turning the acne scar defense off balance. With a nice wrinkle to the play, a fake to the RB holds the safety close to the line of scrimmage. This allows B3 to run the fine line slant across the middle for a 17 yard completion for a TOUCHDOWN! The extra point (eliminating dark spots) was GOOD! Petrolatum, or Petroleum Jelly, brings several talents to the playing field for Bath and Body Works Japanese Cherry Blossom Lotion. PJ (as it’s known to its teammates), has properties that help to heal cuts and burns. PJ starts the Japanese Cherry Blossom opening drive with its own cuts and burns the Olay defense with big plays of 17 and 21 yards. Using it’s slippery texture, PJ slips through the middle of the Olay line for another 7 yard burst. But then, things went south for PJ and the B&BW JCB coach. The referees pulled out some old footage of PJ being railed on by EWG for contamination concerns and organ system toxicity (non-reproductive). This resulted in a personal foul and put the B&BW JCB team out of FG range. With this severe of a penalty, PJ wasn’t able to overcome the long yardage and the drive resulted in a punt. The Olay Quench Plus coach hoping to take a strangle hold on this game sends in one of their top players. Isohexadecane does not disappoint the Olay Quence Plus coach. Starting of the drive with an emollient play, Isohexadecane softens up the defense (moisturizes) them with some conditioning runs up the middle for plays of 4, 6, and 3 yards. Isohexadecane then follows up with an “solvent” out 1 yard pass play (the defensive DB disappears). After Isohexadecane makes the defense disappear, it scampers down the field for another 13 yards. On the next play Isohexadecane combines a colorless and odorless play which confuses the defense as they have no idea where Isohexadecane has gone. On the trick play a screen pass is faked to right side, and then to the left side to the TE. The actual play is a screen pass up the middle as Isohexadecane hides behind the lineman Smelly and Stinky using their blocking smells to progress up the field odorless. The screen pass play breaks open around the 30 yard line and Isohexadecane scoots into the end zone for a TOUCHDOWN! The extra point (creamy thickness) is GOOD! 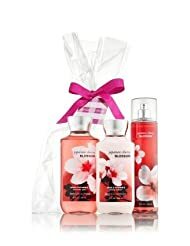 After a slow start, and falling behind big, Bath and Body Works Japanese Cherry Blossom Lotion’s coach sends out it’s top player in B&BW JCB Water. Japanese style Water’s nickname is Eau. Blossom uses Eau the most on this team. And, Eau is needed to settle down the team and get them back on track after the slow start. The B&BW Japanese Cherry Blossom style of Eau is soft and works well to bring the team together using its solvent and dilution skills. On the first play of the drive, Eau shows its composure standing strong in the pocket and delivering a fluid 23 yard pass on an out route. On the play, Eau saw that the outside linebacker was going to blitz from that side, and glided around the defender easily to deliver the pass. Eau followed that up with short passes of 8, 7 and 10 yards. Each time Eau read the defense and made the proper adjustment to solve the defenses playbook. To keep the defense honest, Eau again read right and left side blitzes, and called running plays flowing away from the blizes. Those play went for 6 and 7 yards. In the red zone now, Eau shows why it’s the star of these B&BW Japanese Cherry Blossom team as it diluted the defense by looking the safety off towards the right side of the field and then delivering a slant pass that burst for 12 yards. Eau then dropped back for a pass, looked right first, danced around a defender to the left, and as Eau flowed up the field, Eau fakes a pass to a WR causing the defender to hesitate just enough for Eau to seep into the end zone for a 7 yard run for a TOUCHDOWN! The extra point (moisturizing softening of the defense) was GOOD! After the Cherry Blossom kickoff is boomed into the end zone, the Olay Quench coach looked down the bench to see who to send in. Lo and behold, Elaeis Guineensis (Palm) Oil was sitting there with his hand in the air. Elaeis Guineensis, or Palm Oil, enters the game ready to put his hand print onto the game. Elaeis Guineensis, or EG to his teammates, starts the drive with a slow plowing push up the middle for a run of 5 yards. EG looked like he was running in molasses as he pushed the pile forward for almost the entire run after being hit at the line of scrimmage. EG then ran a sweep to the right side. The play called for the defensive end to be sealed inside by a WR in motion. The seal block sprung EG lose for a 12 yard pickup. As EG was going out of bounds on the previous play, a defensive late hit out of bounds had EG seeing red. EG took advantage of the anger and plowed through three defenders for another nice gainer. On the next play EG called a play action fake for a run up the middle. The blockers sealed out the defensive pass rush as the Olay Quench QB stood strong in the pocket. EG weaved his way up the seam of the Cherry Blossom secondary treating each defender along the way like a skin infection. The Olay Quench QB let the ball fly deep and EG lept high to grab the ball. Elaeis Guineensis could only reach the ball with one hand and palmed it as EG went to the ground. Gripping the ball against his body, EG completed the catch as defenders scratches at the ball trying to knock it free. But, the clawing and scratching at the ball was of no use as Elaeis Guineensis rolled into the end zone for a 52 yard completion for a TOUCHDOWN! The extra point (healing wounds) was GOOD! The Glycerin family is well represented in the Lotion Challenge league. So, when the Bath and Body Works Japanese Cherry Blossom Lotion coach pumped a couple of squirts of Glycerin into the game, it was no surprise. Glycerin is one of the most talented families of talent in the Lotion Challenge league. For JCB, Glycerin brings a supple, silky feel to the game. Starting from the 32 yard line after a nice return, on the first play Glycerin runs tot he right side and smoothly slides outside of the defensive end, cutting up field for a 17 yard gain. Glycerin follows that play up with runs of 2, 9 and 2 yards, unclogging impurities on each jaunt. JCB’s QB drops back for a short pass to Glycerin, screening sunny defenders along the way, for 10 yards. JCB’s line jumps offsides for a false start as Glycerin’s claims are called into question. On a short pass reception, Glycerin retains water on his back as he drags it for a 7 yard gain. Glycerin drops back to pass, but Olay Quench blitzes Glycerin with accusations of side effects for a 9 yard sack. Glycerin thwarts the accusations with 22 yard pass completion deep down the right side of the field proving it’s not toxic when relying on the deep pass. Glycerin then run off right tackle through a giant blackhead hole (wiping it clean) for a 22 yard TOUCHDOWN! The extra point (smooth skin) is GOOD! After the kickoff sails into the end zone for a touchback, Olay Quench takes a knee. JCB allows the clock to run and goes into half time with a 21-14 lead. Olay Quench kicks the ball to JCB, and the JCB return man almost breaks the return. The kicker is able to slow down the JCB returner and Olay Quenches the JCB returner at the 41 yards line. Tocopheryl Acetate, or Ace to his teammates, starts the 2nd half for JCB. Ace is a form of Vitamin E, and is supposed to provide a cheap way to make JCB last longer on the skin. On the first play from scrimmage, Ace shows his wares and catches a short pass, but turns it into a long gain of 15 yards. Ace then lines up at RB and takes the handoff up the middle for a 5 yard gain. JCB then hands the ball to Ace for another run up the middle. But, Ace becomes irritating to the skin, and the Olay Quench linebackers punch the ball out of Ace’s hands. FUMBLE! After a mad scramble, Olay Quench is able to wrestle the ball away and recovers the fumble. After a great defensive play, Olay Quench starts this drive at the 35 yard line. The Olay Quench coach sends in Petrolatum as a topical ointment to heal up the momentum that appears to have swung away for Olay Quench. The Olay Quench coach sends Petrolatum in to try and grind out some 1st downs with touch inside running. On the first play, Qlay Quench sends Petrolatum over right end, but the Japanese Cherry Blossom defense rubs out Petrolatum for a one yard loss. On the next play Petrolatum lines up at RB again, and as the Olay Quench QB takes the snap in the shotgun, Petrolatum slides out of the pocket to the right side and receives a pass behind the line of scrimmage and can’t shake off the JCB defense as Petrolatum is stopped for a 3 yard loss. On 3rd and long, Petrolatum runs a down and out, the Olay Quench QB fires a bullet towards Petrolatum, but the ball is behind him. As he reaches back and tips the ball up, the JCB defensive DB Dimethiconol grabs the pass for an INTERCEPTION! Dimethiconol turns up field and heads for the end zone. Petrolatum pivots and gushes after Dimethiconol. 27 yards later, Petrolatum is able to catch Dimethiconol and force him out of bounds at the Olay Quench 16 yard line. After the interception, the Bath and Body Works Japanese Cherry Blossom Lotion coach is looking to strike fast and sends in Cetyl Alcohol. On the first play from scrimmage, Cetyl Alcohol lines up in the backfield at RB next to the QB in the shotgun. On the snap, the QB looks down field to pass, and then turns to hand off to Cetyl Alcohol on a draw play. The defense sniffs out Cetyl Alcohol, and the play is stopped for 3 yards. On the next play from the shotgun, Cetyl Alcohol takes another handoff, and while trying to boost foam up the middle, Cetyl Alcohol gets surrounded and stuffed for only a 1 yard gain. On 3rd down and 6 yards, Cetyl Alcohol is waved into motion and from the outside, Cetyl Alcohol masks his fake and makes a cut back to the middle, but after drawing the defender inside, Cetyl Alcohol makes a fluid cut to the back corner of the end zone and receives a strike for a TOUCHDOWN! The extra point is no where to be found and flies wide right! The Olay Quench coach is looking to keep this game from getting out of hand. So, Glycerin gets the call. The coach is so nervous about the big scoring deficit, he sneaks Glycerin in to take the kickoff. Receiving the kickoff at the 3 yard line, Glycerin starts right behind his blockers. Then, Glycerin sees the hole and cuts back using his fatty acid and lecithin blocker to burst through the hole. The Cherry Blossom kicker is the only one left to stop Glycerin as he approaches the 40 yard line. Glycerin fakes left and the kicker jumps and cuts off Glycerin. The kicker move slows Glycerin down enough that he is caught from behind. But, not before crossing midfield and getting to the 46 yard line. Looking to take advantage of more fatty acid blocking, Glycerin runs the ball around the right end for 2 yards, and up the middle for 4 yards. On 3rd down, the coach send in an emollient play. With Dimethicone at QB, and Petrolatum at RB, Glycerin lines up at WR and goes in motion. On the snap, Dimethicone fakes a handoff to a moving Glycerin. Dimethicone then fakes a handoff to Petrolatum over right tackle. With the fatty acids holding the defensive line, Dimethicone rolls out to the right side of the field. After moving past Dimethicone on the fake handoff, Glycerin turns up field after clearing the tackle. With speed, Glycerin bursts towards the sidelines. But, at the last minute, Glycerin plants and cuts towards the middle of the field. Dimethicone delivers the strike to Glycerin who then leaps over a defender, but falls down after a 22 yard gain. The emollient play was a genius call as all of the players worked well together. With the defense reeling from the emollient play, the Olay Quench offense hurries up to the line of scrimmage before the defense can get set. On the snap, Glycerin from the right side at WR, runs a quick slant and Dimethicone delivers again to Glycerin in stride. Glycerin scales the safety at the goal line and falls into the end zone for a TOUCHDOWN! The extra point (strong fragrance) smells GOOD (and is)! As the 3rd quarter is winding down, the Bath and Body Works Japanese Cherry Blossom Lotion coach needs some consistency from his team. He looks down the bench and decides to try Butyrospermum Parkii. Butyrospermum Parkii also goes by the simplified name of Shea Butter. But, on JCB, he’s known as ShButter. ShButter might be considered an up and coming player if he hasn’t already put up such great numbers. There’s more. But, you get the picture. On 1st down, ShButter lines up at RB, the JCB QB is in the shotgun as ShButter rolls out to the right side. Feeling the pressure from the rush, the QB dumps the pass to ShButter in the right flat. ShButter slips through a couple of tackles, then darts up field for 17 yards. ShButter takes the next two plays at RB carrying for 3 yards on the first play, then giving those 3 yards back on the second run. On 3rd down and 10, the QB lines up in the shotgun and surveys the defense. ShButter goes in motion and cuts up field when the ball is snapped. Sprinting deep until the safety turns to run, ShButter stops on a dime and comes back to the ball as the QB delivers a strike. ShButter catches the pass and dives back forwards for a 15 yard reception. ShButter takes the next play off right tackle for a 4 yard run avoiding the oxidation defenders in the line (you might even say he’s ANTI defensive line). On 2nd down and 6, ShButter moves back into the backfield for the snap. The QB catches the snap in the shotgun and surveys the field making a snap decision to roll out towards his left. The QB then turns and throws back to ShButter on the left side for a screen pass. The defense has been fooled. ShButter makes them pay with an almost sun-burn effectiveness. They have been burned by the well known anit-burner. How embarrasing. Before the defense can try to combat the skin barrier that ShButter has constructed, he is 15 yards downfield. ShButter is piled on, but manages to lay it on thick and drag the defense 21 yards before ShButter is dropped. ShButter lines up a WR on this next play, and slips past the defender moving up the field. The QB lofts the ball up towards the end zone flag, and ShButter leaps up and pulls in the ball as he taps his toes just inside the end zone corner before being pushed hard out of bounds. ShButter somehow manages to hang on for the 13 yard TOUCHDOWN catch! The extra point (skin regeneration) is GOOD! With The Japanese Cherry Blossom team pulling within a point, the Quench coach digs deep in his bag of tricks for something to try and slip up the opponents defense. Panthenol, a B5 vitamin groupie, is known for excelling at the moisturizing and lubricating components of the (skin) game. With this in mind, the Olay Quench coach will try to construct an offensive plan that will lubricate its way down the field. After the kickoff was returned nicely by the Olay Quench return team to the 26 yard line, Panthenol heads onto the field. On 1st down, Panthenol lines up in the backfield and the QB fakes a handoff. The QB looks down field as Panthenol slides outside of the blockers. The Quench QB takes as much time as he can before getting drilled by the defense. But, as the QB is being hit, he dumps the ball to Panthenol. Panthenol greases his skids, and moves up field with silky smoothness, using blockers to slither up field. The defense, having problems getting a grip on Panthenol, finally are able to guide him out of bounds. But, not until he gains a healthy 18 yards. On the next play, Panthenol takes the handoff up the middle and burst into the secondary for a sneaky 11 yard burst. Panthenol then takes another handoff, but JCB has inserted his special PETA defense. The PETA defense has been accusing Panthenol (specifically the Olay owners) of being derived from animal testing. They just might be what the JCB coach needs to put a stop to this very productive drive. But, on this play, the defense gets a little handsy and receives a five yard penalty on top of the 1 yard run. On 1st down, Panthenol lines up a WR to try and slip past the PETA secondary. But, on the short pass, Panthenol finds the ball to slippery to handle and drops it. Panthenol then takes a handoff and PETA is waiting for Panthenol with an animal rights push into the back field. They hit Panthenol behind the line of scrimmage and the ball slips from his hands momentarily. Panthenol is able to jump on the ball before the JCB PETA activist can steal it away. On 3rd down and long, Panthenol moves over to the other side of the field to try and test the other side of the JCB PETA defense. But, this PETA defense knows all about testing and on the pass play, jumps the route to knock the ball down. On 4th down, being just out of FG range, Panthenol punts the ball to try and pin JCB deep in their own territory. The punt goes out of bounds, and the referees mark the ball at the 14 yard line for the JCB offense. Buried deep in their own territory, the Bath and Body Works Japanese Cherry Blossom Lotion coach is very careful with his next player selection. The JCB coach goes with Simmondsia Chinesis. Also known as Jojoba Seed Oil. His teammates call him JoJo Oil. JoJo Oil is a safe pick for the JCB coach. The Environmental Working Group EWG rates players (cosmetic ingredients) and JoJo Oil gets an Overall Hazard rating of “low”. JoJo Oil starts the drive off in the shotgun. Taking the snap, JoJo Oil surveys the field and fires a strike to the JCB WR Cetearyl Alcohol for 7 yards. JoJo Oil often looks for Cetearyl Alcohol when the pressure is on. On 2nd down, JoJo Oil goes right back to the Cetearyl Alcohol for an 11 yard gain. On 1st down, JoJo Oil hands off to Neopentyl Glycol Diheptanoate who conditions the defensive line with a thunderous shot. But, the defense is up to the task and limits the run to 1 yard. The JCB coach draws up an emulsion play, and JoJo Oil directs the play from the shotgun. Cetearyl Alcohol is the target again, as Cetearyl Alcohol starts with a slant route, but after pulling the CB inside, Cetearyl Alcohol leaves the CB in a trail of foam. JoJo Oil keeps a barrier around himself with the help of the offensive line, and drills the pass into Cetearyl Alcohol hands as he slides out of bounds for a 34 yard gain. Hurrying up to get the next play off, the JCB coach inserts Ceteareth-20 to try and catch the defense off balance. But, on the play, Ceteareth-20 is caught using skin enhanced absorbion and receives a 10 yard penalty for holding (contamination concerns). The JCB coach is furious and puts Cetearyl Alcohol back in the game. JoJo Oil and Cetearyl Alcohol are working well together as they rip off catches of 2 and 19 yards. The JCB coach calls their first time out to give the duo a rest. The rest helps as JoJo Oil connects two more time for 5 and 14 yards. This time the Olay Quench coach calls the timeout to try and regroup his defense for a goal line stand. But, JoJo Oil is too much and with controlled viscosity squeezes between defenders for a 1 yard dive for a TOUCHDOWN! The extra point (can help with acne) is GOOD! With just over 2 minutes left in the game, the call on who to put into the game is easy for the Olay Quench coach. Water is on tap to try and win the game for Olay Quench. After the touchdown, BB&W Japanese Cherry Blossom kicks the ball deep into the end zone. The Olay Quench coach has put Tetrasodium EDTA into the game to try and get a big return on the kick off. And, TetraSalt (nickname from his teammates) takes a big gamble by returning the kickoff starting 6 yards deep in the end zone. TetraSalt catches the ball running and cuts to the right side at the 5 yard line. Escaping a tackler, TetraSalt cuts back to the left after dancing around two more tacklers at the 10 yard line. Seeing the coverage team closing in, TetraSalt cuts up field and is only able to make it to the 17 yard line before being brought down. Water gives TetraSalt a glare as he flows into the game. Water was hoping to not start of the drive in a hole. On first down, Water lines up in the shotgun with Dimethicone at one wideout, Carbomer in the slot, and Isododecane on the other side. The Olay Quench coach is throwing the book at this defense with so little time left in the game. At the snap, Water drips back in the pocket and surveys the field. After glancing at Carbomer, Water circles back and sees Dimethicone in the seam of the defense and squirts the ball hard between defenders. Carbomer stablized the ball between its fingers and pulls in the pass. Carbomer then dashes outside and out of bounds for a 14 yard gain. With the clock stopped, Water organizes the team and calls the next play. From the shotgun, Water sprays a quick pass to Isododecane for a quick 7 yard gain as the clock winds down to the two minute warning. After the commercial break, Water lines up again in the shotgun, and surveys the field. A defensive lineman reverses field and breaks free for a hard hit on Water. But, Water is ready and splits in two as the DL doesn’t know what happened. Water reforms a few yards up field and drips a short pass to Dimethicone. Dimethicone catches the ball and cuts up field for 11 yards. From the shotgun on 1st down, Water goes no huddle and calls the play out to the receivers. On a crossing route, Water drenches Carbomer with the pass and Carbomer evades the CB zipping up the sidelines for 16 yards. On first down from the 35 yard line, Water with confidence in his line, pools up in the pocket waiting for the routes to develop. Isododecane solves the defense with a beautiful route that pushes the CB deep and then cuts back. Water spews the pass on a line to Isododecane and he makes the catch at the 21 yard line and is immediately tackled. With the clock running, Water sponges up his team to give them some form. Half watching the clock and half watching the secondary, Water takes the snap. Looking off the safety, Water throws the ball to the deep end. Carbomer leaps for the catch, but the safety didn’t bite on the look off and jumps in front of Carbomer for the interception. Falling out of bounds in the end zone, Japanese Cherry Blossom get the ball at the 20 on a touchback! With only a little over a minute left in the game, Bath and Body Works Japanese Cherry Blossom Lotion’s coach sends in Fragrance to put a bow on this hard fought game. With Olay Quench out of timeouts, Fragrance calls the team into the ‘V’ formation and takes a knee three times and Olay Quench can only watch in disgust as the clock runs out. Bath and Body Works Japanese Cherry Blossom Body Lotion retains the title of Best Body Lotion in the Midwest Body Division. Olay Quench Plus wins the coin toss and will receive. 0 - 7 11:17 Olay Quench Plus's Niacinamide's pass to Vitamin B3 for a 17 yard TOUCHDOWN! Extra point is GOOD! 0 - 14 2:20 Olay Quench Plus Isohexadecane takes a screen pass 55 yards for a TOUCHDOWN! Extra point is GOOD! 7 - 21 6:21 Olay Quench Plus Elaeis Guineensis palms a long pass for a 52 yard TOUCHDOWN! Extra point is GOOD! 14 - 21 15:00 Olay Quench Plus kicks off. 20 - 28 0:41 Olay Quench Plus' Glycerin catches a slant for an 18 yard TOUCHDOWN! Extra point is GOOD!